As you pull off the highway and up the paved drive to this wonderful home on 25 acres, you will instantly be met with serene beauty, peace and quiet, away from the hustle and bustle of life. 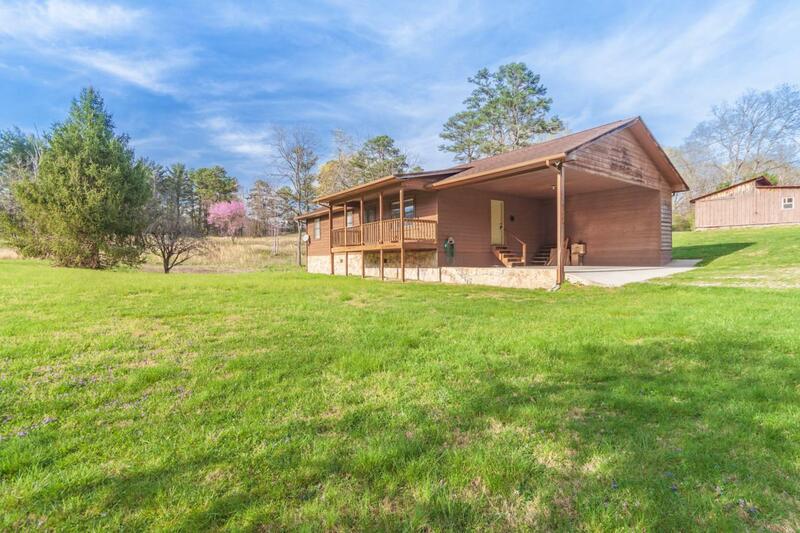 As you sit on the front or back porch, you will have fantastic views of the mountains, your manicured yard and your very own fire tower that is on site. The home offers a carport for parking, spacious 3 beds and 2 baths, with everything on one level. The screened porch is right off the kitchen, perfect for entertaining. There is a storage building on the property along with a workshop with concrete floors. There is also a mobile home on the property that comes with the sale that can be moved, torn down, or renovated to make another residence. Septic, water and electric already in place. This propertyis the definition of a true gem. Some of the land is wooded and some is cleared. The land is unrestricted so the possibilities are endless. Land will be split to equal 25 acres, more or less. Buyer to verify sq. ft., acreage, etc. Listing provided courtesy of Alco Builders & Realty Co.